BGI Americas, the U.S. subsidiary of BGI Genomics, will partner with AiLife Diagnostics to jointly develop and market a clinical whole genome sequencing (WGS) solution designed to diagnose genetic disorders, the companies said today. 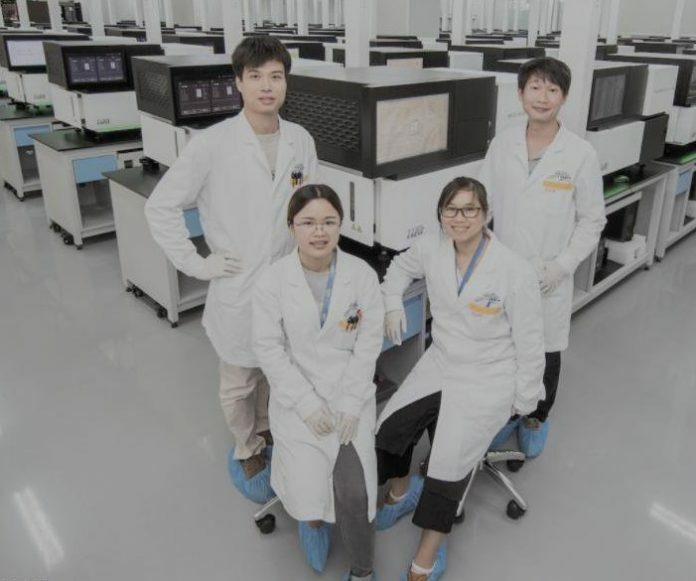 The collaboration—whose value was not disclosed—is intended to combine BGI’s DNBseq next generation sequencing (NGS) technology with AiLife’s pipelines for clinical NGS data analysis, interpretation and reporting. That pipeline includes Annotation of Genes and Proteins Systematically (A-GPS); Interpretation of Genes and Proteins Systematically (I-GPS); and Discovery of Genes with Possible disease contributions Systematically (D-GPS). AiLife says its bioinformatics pipeline is designed to enable the detection of SNVs, Indels, CNVs and SVs as well as uniparental disomy (UPD) and absence of heterozygosity (AOH) detections. In addition to its pipeline, AiLife said it will provide “high-quality” data analysis, interpretation and clinical reporting, as well as a clinical report to be generated and signed by AiLife’s genomic scientists and board-certified clinical geneticists. DNBseq, launched last year, is BGI’s $600 research-grade WGS service, which is designed to enable holistic assessment of genetic profiles at a cost level similar to whole exome sequencing (WES) and targeted sequencing. DNBseq uses combinatorial Probe-Anchor Synthesis (cPAS) and improved DNA Nanoballs (DNB) technology. The cPAS chemistry works by incorporating a fluorescent probe to a DNA anchor on the DNB, followed by high-resolution digital imaging. According to BGI, the combination of linear amplification and DNB technology reduces the error rate while enhancing the signal. The size of the DNB is controlled so that only one DNB is bound per active site. The patterned array technology is intended to provide sequencing accuracy as well as increase the chip utilization and sample density. To date, according to BGI, over 100,000 WGS samples have been sequenced globally using DNBseq technology. BGI asserts that the service delivers better Indel calling accuracy, better GC coverage, a higher mapping rate and lower duplication rate compared to conventional sequencing technology. In addition, the cost of DNBseq technology is low enough to “undoubtedly” enable future adoption of clinical WGS testing, and greater access for patients and clinical providers, BGI said. BGI and AiLife said they are conducting a validation study at their respective CAP-accredited CLIA-certified laboratories, which have established capabilities in clinical grade sequencing and interpretation. The companies expect to finish the validation by June and officially launch the test in October at this year’s American Society of Human Genetics (ASHG) 2019 Annual Meeting, set for October 15-19 in Houston. AiLife and BGI plan to offer the new service in the Americas as a turnkey solution: By providing early diagnosis and higher detection rates, they reason, their test will benefit not only patients with genetic diseases and hereditary cancers, but also clinicians seeking to improve outcomes of rare or undiagnosed diseases through implementation of precision medicine. The companies said they will give top priority to protecting the privacy and security of patient health information as well as delivering timely and high-quality results. “We are very excited to have the opportunity to serve the community and help move genomic medicine forward,” added Yaping Yang, PhD, CEO and founder of AiLife Diagnostics and visiting professor at Baylor College of Medicine.